New Town was a site-specific installation created for a thematic exhibition titled, We are the River, which pertained to the St. Joseph River and it's surrounding community of South Bend, IN. 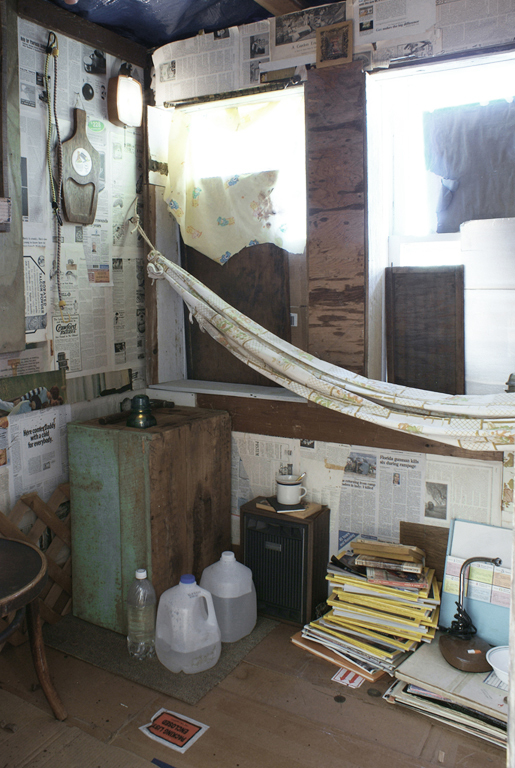 The shanty, made from salvaged material, was reminiscent of those found in the U.S. during the Great Depression as well as those found today in developing countries around the world. It represents a push and pull between the old and the new, and the resilient ingenuity of the worker to overcome extreme forms of poverty. 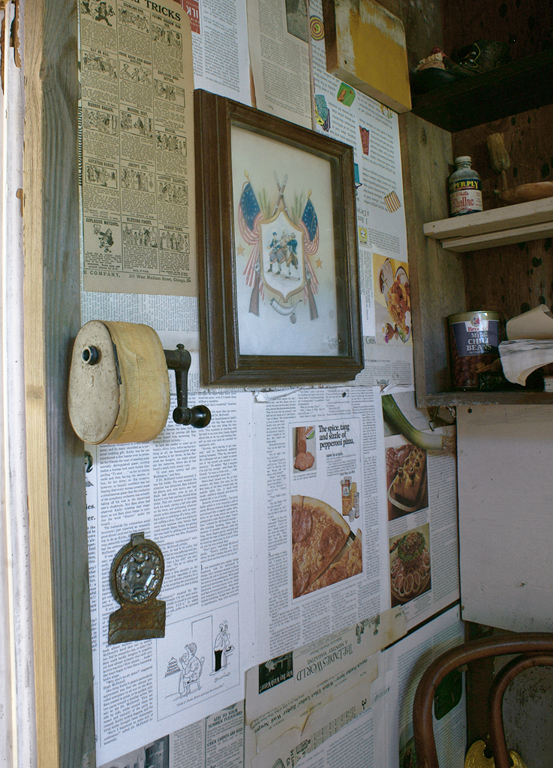 Inside the shanty, old and new versions of songs from the American Labor Movement and the Industrial Revolution competed for airwaves on a portable transistor radio. New Town, which was created in a rust belt town during the aftermath of the Great Recession, served as an important reminder of a history we needn't forget.